With one cable male MC4 connector on one end and other end bare wire. 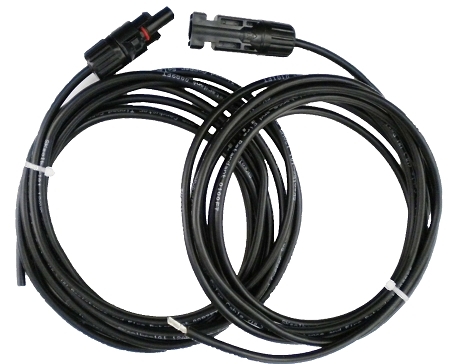 Another cable with female MC4 connector on one end and other end bare wire. Connect solar panel to charge controller, inverter or combiner.